The Cutting Board from General Hydroponics is a hydroponics system that allows young plants to obtain a vigorous and perfect root structure. 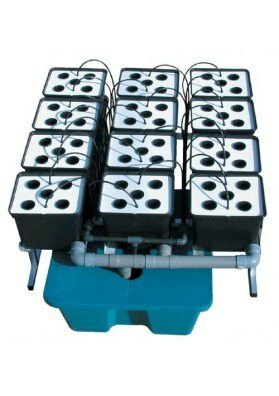 The Cutting Board from General Hydroponics is a perfect aeroponic cloner containing 27 pots suitable for small crops. 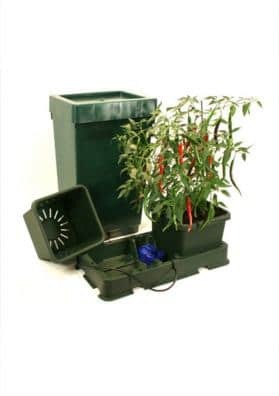 It enables you to get plants with a vigorous and perfect root structure, capable of adapting to earth hydroponic environments or for future transplants. This Cutting Board incorporates anti-light barriers and anti-UVs that protect the solution from the development of algae. This Cutting Board from General Hydroponics is suitable for begginers as it is easy to use but it is also used by researchers, universities and schools, with the aim of teaching biology.